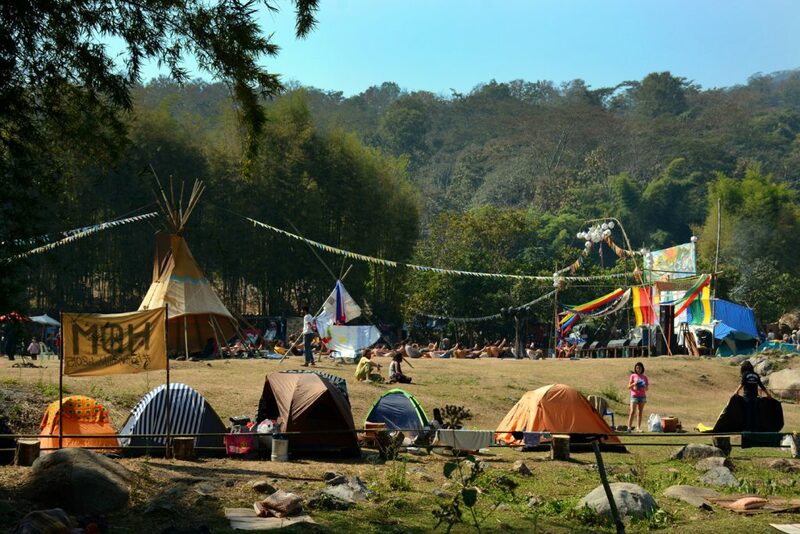 Shambhala in Your Heart Festival 2019 will take place from February 7-16, 2019 at their new location: Chiang Dao Camping in Mae Na. 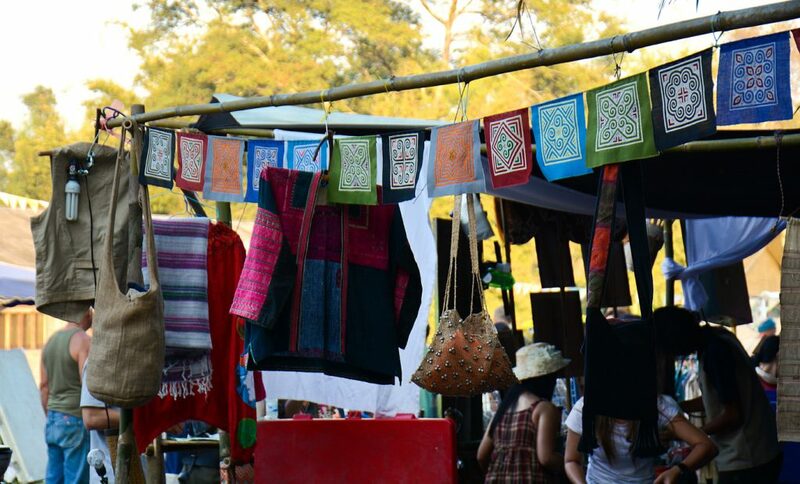 Another year has passed and it’s time for the Shambhala In Your Heart Festival again. I have been to it twice before and each time I had a wonderful time. I was very excited to hear that the curfews we’ve been struggling with in the last year or so, and the strict alcohol rules, didn’t scare the organisers of the event, and we will have another Shambhala this year, too. What is Shambhala In Your Heart Festival? 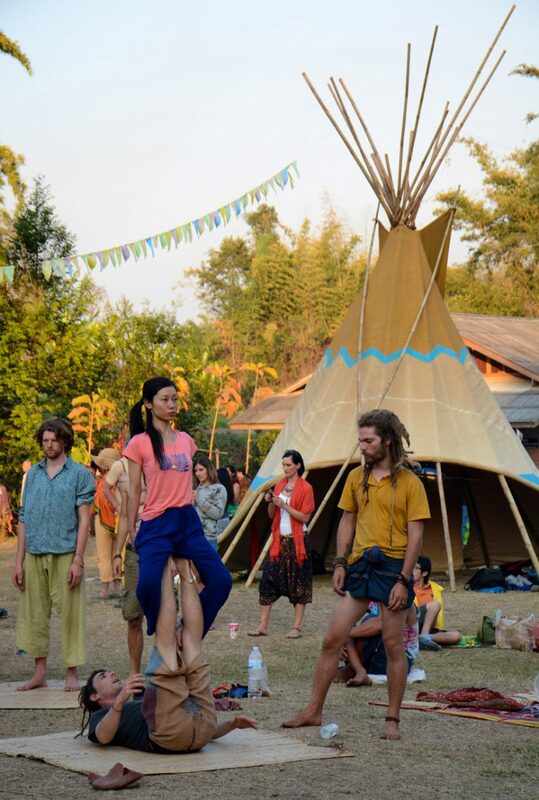 Shambhala In Your Heart Festival is a small music, and art event taking place every year at the Chiang Dao Youth Camp – an hour drive from Chiang Mai and 10 minutes drive from Chiang Dao. 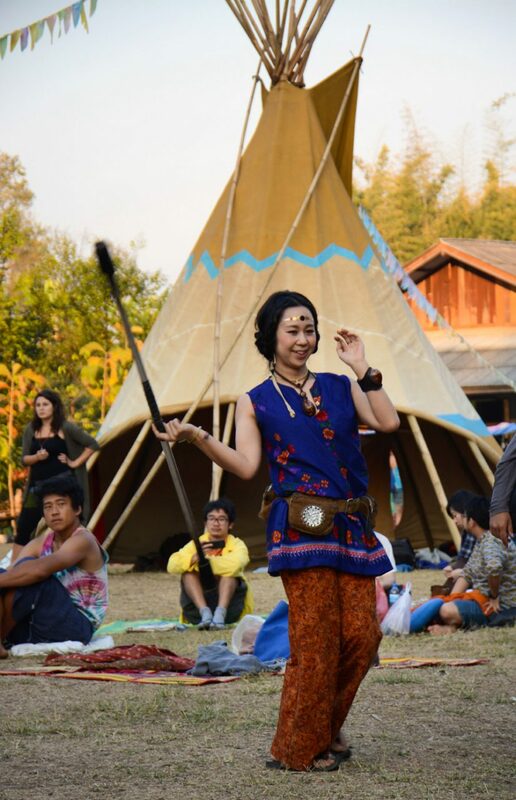 It is organised by a small Japanese hippie community that lives in the area. The festival lasts around a week and each day is full of different activities and performances. The festival is located on a beautiful field, at the foot of the Doi Luang Mountain and away from the traffic and noise of the motorway that runs through Chiang Dao. 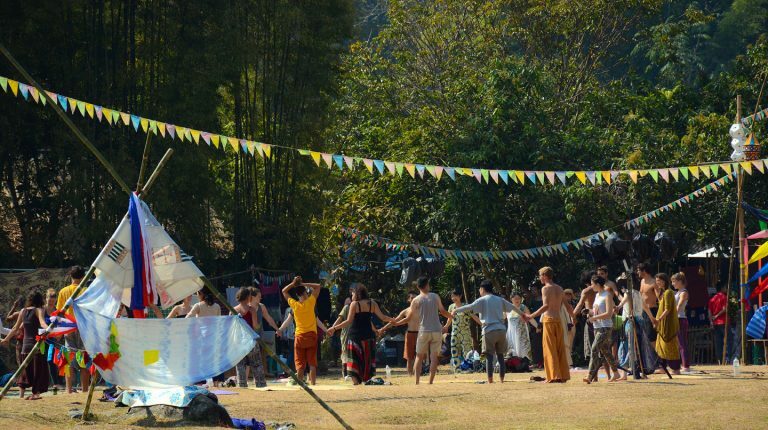 What happens at the Shambhala In Your Heart Festival? 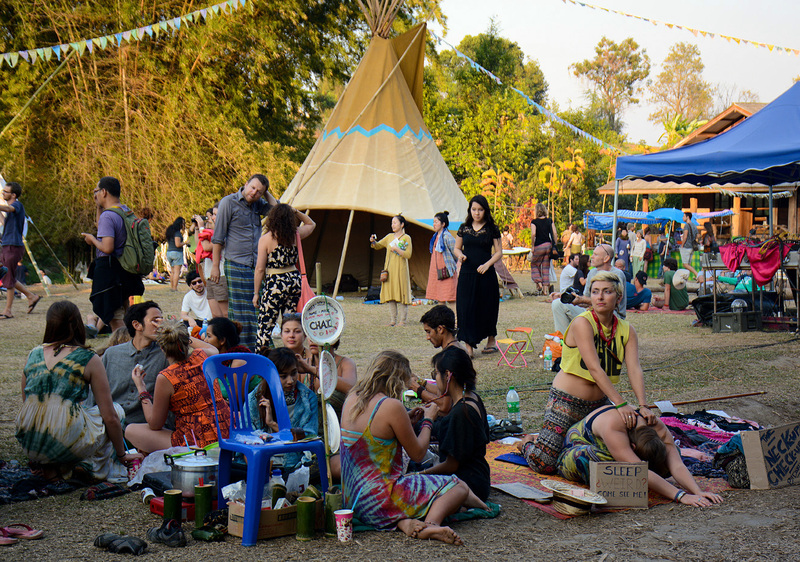 During the whole week you can enjoy free yoga classes, eat vegan and vegetarian food at reasonable prices, sit on the grass near the stream that flows through the field, drink as much as you wish and even have a jam session with some musicians, if you play an instrument. 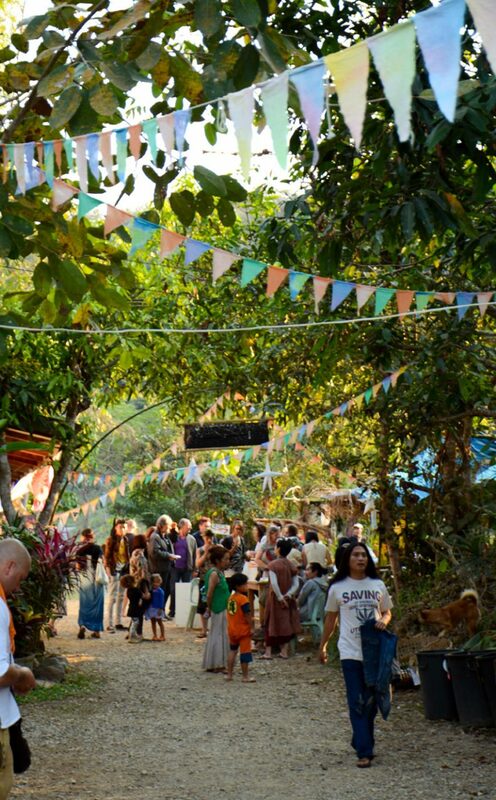 The days at Shambhala In Your Heart Festival start late and quite slowly. People practise yoga, eat their breakfasts, drink their teas. 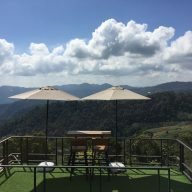 Later you can take part in art workshops, or just lay on the grass and enjoy the sunshine and the views of the Doi Luang Mountain. The performances usually start around noon. 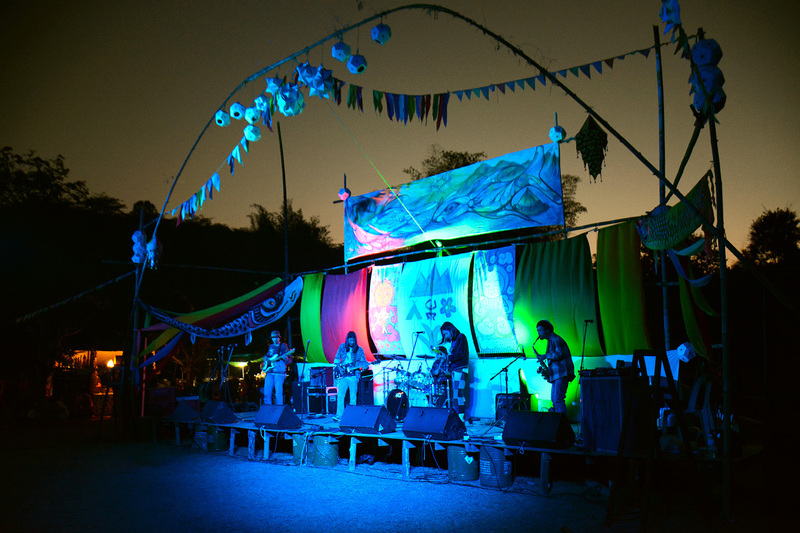 The bands that perform at the Shambhala In Your Heart Festival play reggae, rock, indie and experimental music. From time to time you can watch theatrical, or dancing, performances and even magicians doing some amazing tricks. Everything comes to an end at around 11 pm, but people still stay, burn fires, play music and dance until the early hours of the morning. 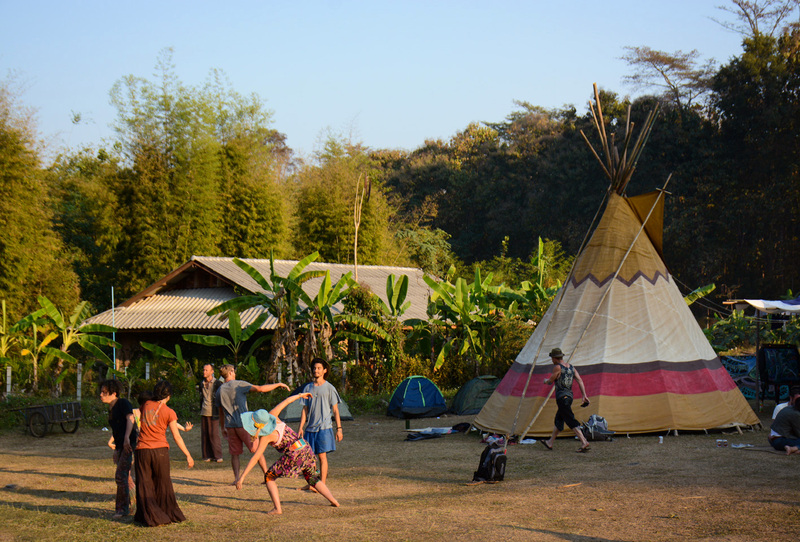 What can you find at the Chiang Dao Youth Camp? The Chiang Dao Youth Camp is full of things to enjoy. 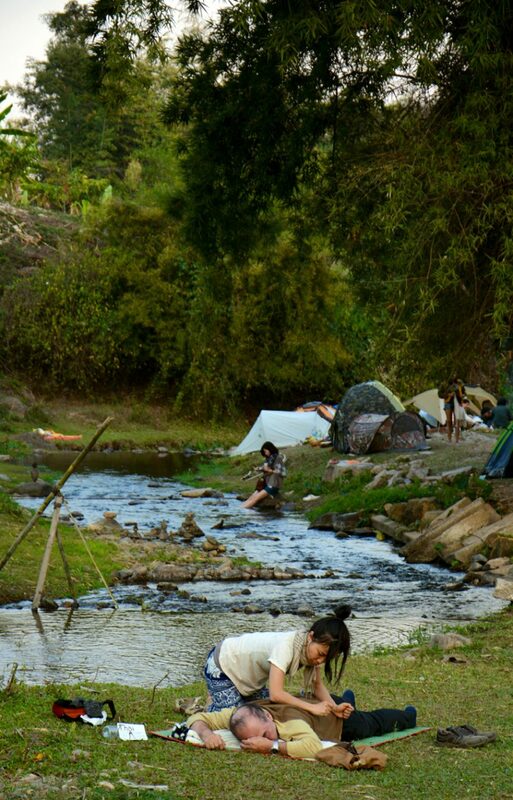 There are two different hot springs – one available for free, one with a fee of 50 Baht. 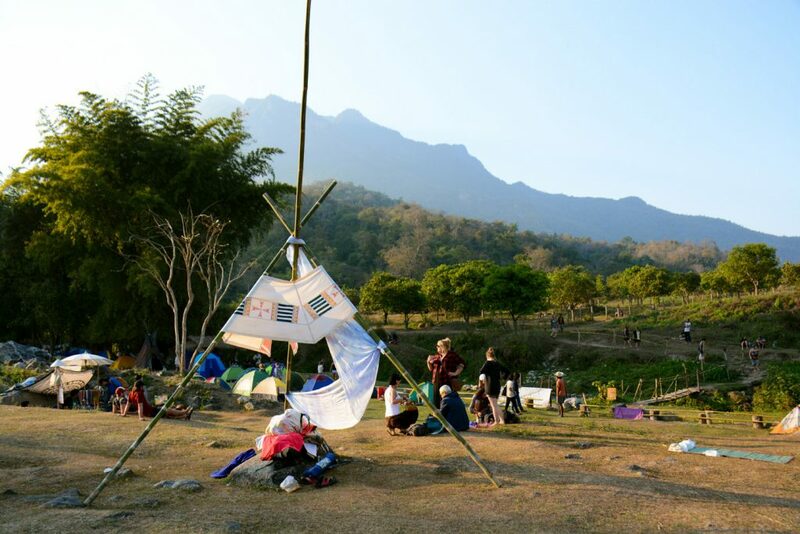 Both are a little away from the main area of the festival and provide amazing views of the Doi Luang Mountain. There are stalls selling hand made goods, food and drinks and a few restaurants, selling home made bread and other delicacies. Accommodation as such is not provided during the festival. You can bring your own tent and camp wherever you wish on the field. There are also a couple of tipis, and if you are lucky you can sleep in one of them, close to the fire. Last year the organisers allowed people to sleep in a newly built shed. As we didn’t have any other alternative, we laid down on a cold, concrete floor and slept for a couple of hours. It was the most uncomfortable experience in my life! If you would like to attend the Shambhala In Your Heart Festival 2016 and stay there for a couple of days, you need to bear in mind that the nights there are very cold. Sleeping in a tipi is an adventure and could be a great experience, considering that you only spend there one night and can find a space. Bringing your own tent is the best, and the cheapest, option. 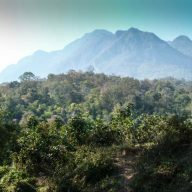 Alternatively, you can book accommodation in one of many places, available in Chiang Dao. You can come to the Shambhala In Your Heart Festival 2016 either for only one day, a few days, or a whole week. Who will enjoy the Shambhala In Your Heart Festival? 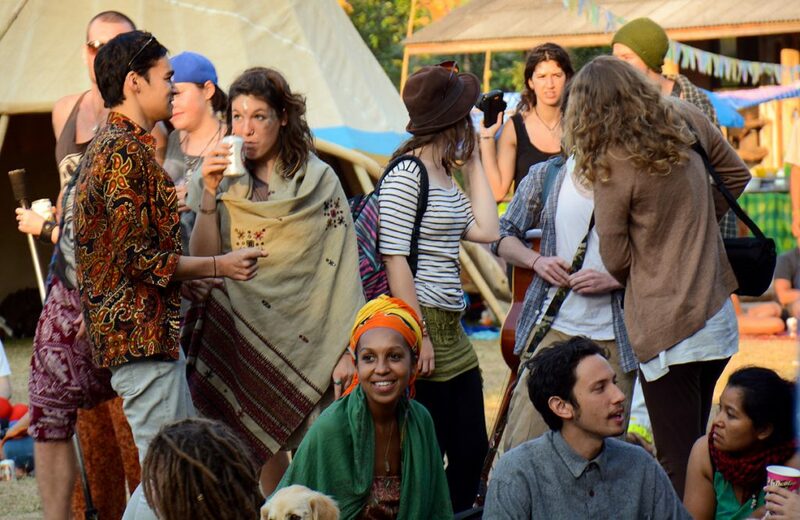 The festival is for those, who enjoy live music, meeting new people and like to experience a real hippie vibe. 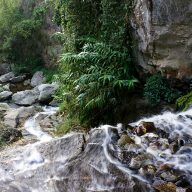 It is also a great opportunity to get out of the city and see some country side. 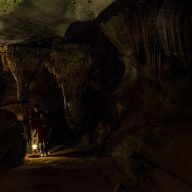 While you are in Chiang Dao, visit the Chiang Dao Cave and the Wat Tham Pha Plong – a beautiful temple on a mountain. 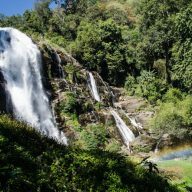 There are also a couple of nice coffee shops and a cozy restaurant, selling great Thai food, just by the creek, on the way to the Chiang Dao Cave. Drive to Chiang Dao – from Chiang Mai go towards Mae Rim and then follow the road 107 all the way to Chiang Dao. After you pass a couple of shops in the town, you will see a big sign towards the Chiang Dao Cave on your left. Take that road and drive straight until you reach a big intersection. On the other side of it there will be two roads – one going to the cave and one going slightly left. Take the latter and follow it until you see the signs for the festival. Take a local bus to Chiang Dao from the small bus station at the Chang Pueak Road in Chiang Mai. Ask the driver to tell you when you reach the town. It takes about an hour to get there. 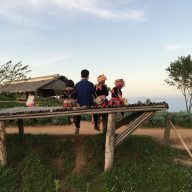 From Chiang Dao you can take a yellow songteaw to the festival. They operate whole day and will be able to take you back to the bus stop in the morning, if you stay overnight. Warm clothes: I know it is hard to believe, but the area around the festival gets really cold at night. You can take summer clothes to wear during the day and some warm clothes for the night. Cash: There are no ATMs at the festival, or anywhere near it. 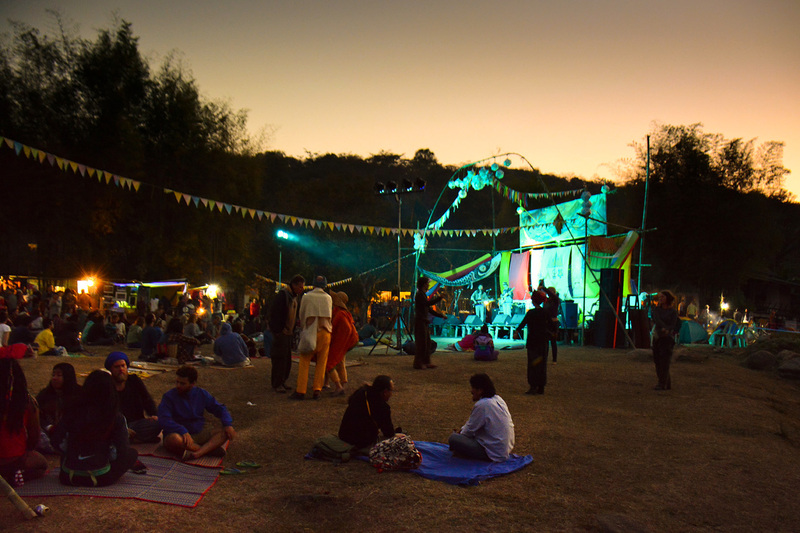 The closest one is around 10 – 15 minutes drive from the festival grounds. Shambala In Your Heart Festival is very safe. Everyone here is nice to each other, no one fights and everyone is in a good mood. Some parents come here with their children, who also really enjoy the festival. Theft doesn’t really happen, but it is best to keep your valuables with you at all times. Entrance costs 100 Baht per day. You cannot book it online and you buy it at the festival’s gates. It is the cheapest festival I have ever been to. If you would like to find out more about the Shambhala In Your Heart Festival 2016, visit the official Facebook page.